All types of Internet of Things (IoT) devices are under attack. They are routinely recruited as unwitting members of botnets used for Distributed Denial of Service (DDOS) attacks, hosting various malware, and extracting sensitive data. Why are hackers drawn to these devices? Two specific reasons: the data has a high enough value, and most IoT devices are ill-equipped to beat back cyber attacks. Unfortunately, these attacks are typically not discovered for weeks or even months while the potential damages continue to rise. Tremendous economic and social brand damage is inevitable and can often lead to uncomfortable conversations with the media, industry, and even government regulators. Until recently, embedded device security hasn’t been a topic for the C-Suite. Thankfully, executives are now starting to ask whether their products are at risk, demanding solutions, and looking for assurance from their engineering teams to deliver security. What proactive approaches can engineering teams take to reduce IoT related risk? 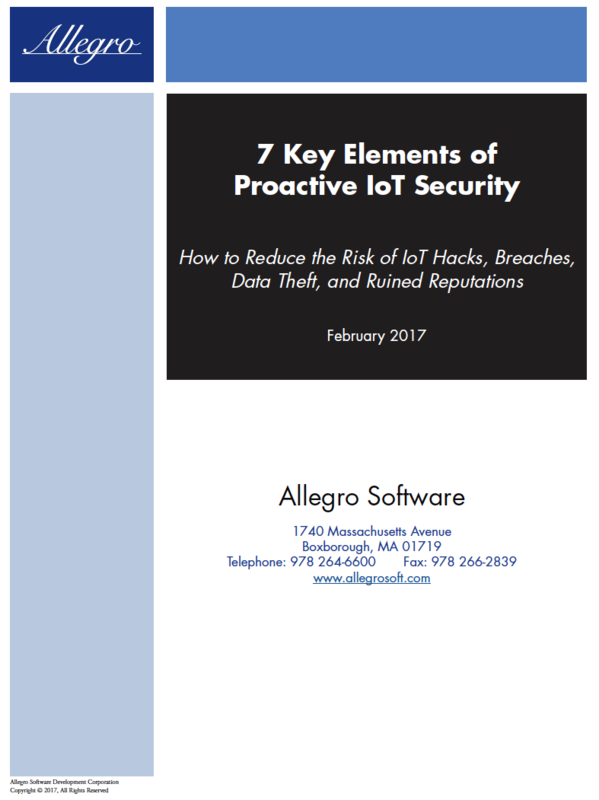 Download our white paper to see how the “7 Key Elements of Proactive IoT Security” can increase your security presence and reduce the exposure of your IoT ecosystem to hacks, breaches, data theft, and lost brand equity.